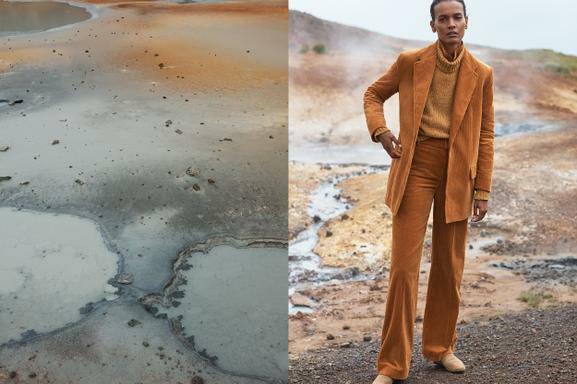 MANGO is launching its second capsule collection of sustainable fashion, MANGO Committed. An ecological offering designed for women and men and produced using sustainable materials. The goal of the company is to increase the percentage of sustainable fibres used in its collections, with a commitment for 50% of MANGO cotton to be of sustainable origin by 2022.  In the latest edition, as well as organic and recycled cotton, the range of sustainable fibres has been extended to include recycled wool, modal and lyocell. 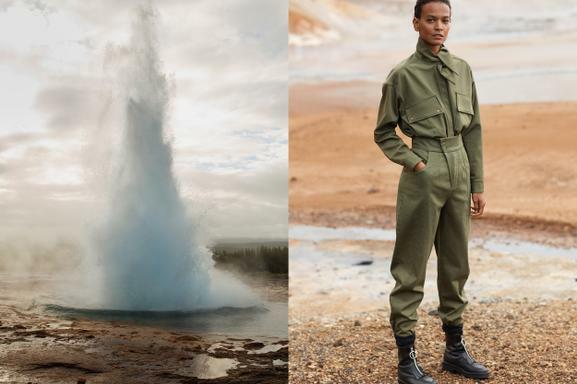 Highlighted among designs with a clear vintage military inspiration are feminine outfits with an oversized masculine fit. Garments include details such as plastron pockets and aged copper rivets. The predominant tones are greens combined with tile, grey and ochre. Among the many models in the woman’s collection, key garments include the tile power suit and the maxi puffer jacket. 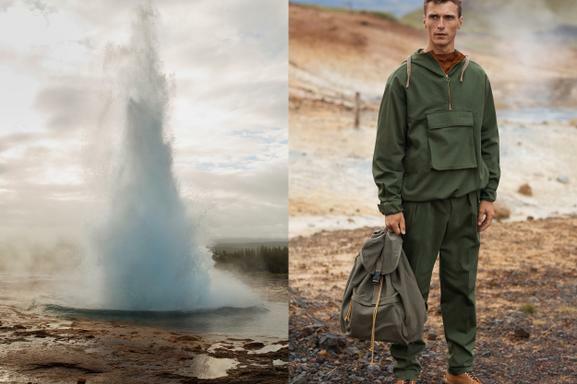 The selection of designs for the men's line also feature utility details and opt for neutral tones such as navy, army green, ecru and tobacco, with hints of tile. 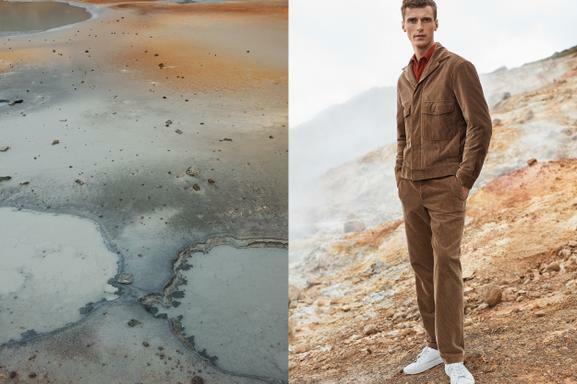 The key garments in the line are the corduroy suit, the workwear style dungarees and the tobacco overcoat. 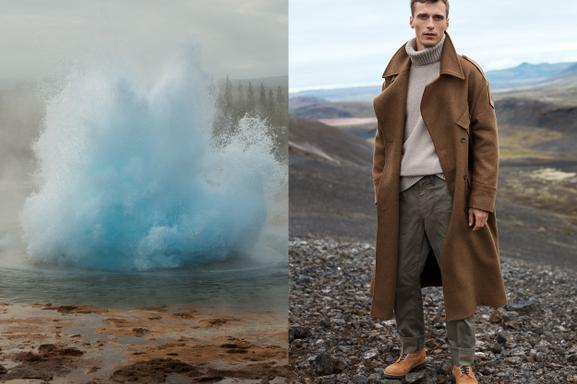 Josh Olins shot the campaign images in Iceland during October, in striking landscapes such as the Haukadalur geyser or the Gullfoss waterfall, where nature can be seen in its purest form. 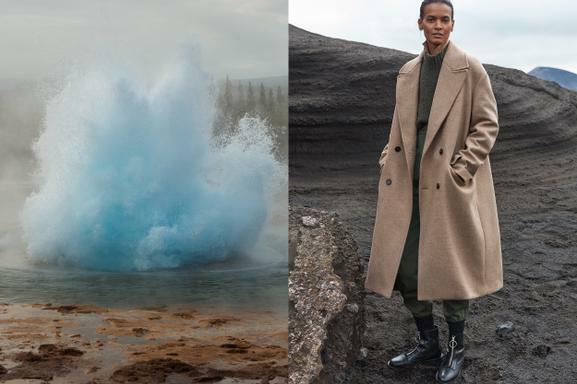 The campaign stars the models Liya Kebede and Clement Chabernaud, with styling by Aleksandra Woroniecka .